Sewing machines are an investment, but will provide beautiful stitches for many years with regular service and maintenance. 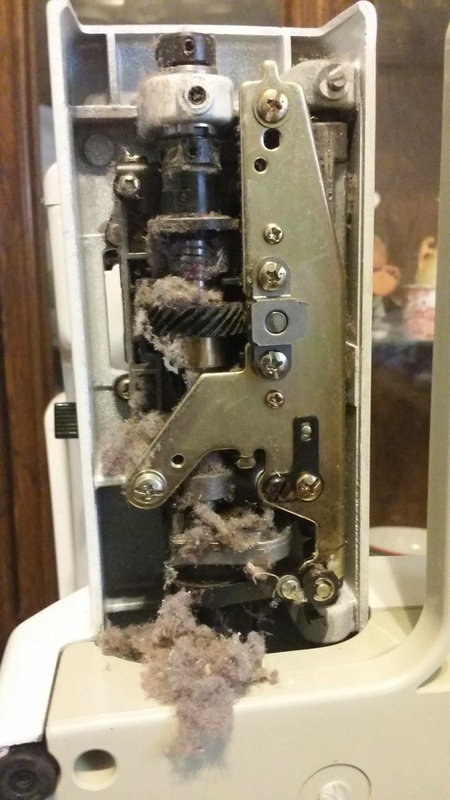 The type of thread and fabrics can affect the accumulation of lint in the bobbin area. Check at each bobbin change or refill and clean if necessary. Start a new project with a fresh needle. Check out our free downloadable guide from Schmetz Needles for choosing the correct size and type of needle.